Technology (from Greek, techne, “art, skill, cunning of hand”; and, -logia) is the collection of techniques, skills, methods and processes used in the production of goods or services or in the accomplishment of objectives, such as scientific investigation. The term: “Technology” has taken on so many meanings over the years but is generally understood as something progressive or innovative. When someone says let’s apply technology to a well-known task or function they generally mean lets improve it and become more efficient. Technology in the Education arena is applied in the same way. Students, parents, and educators will use information technology to enhance and expand the traditional role of Education. I believe the basic goal of Education has not changed, that is to prepare our students for life-long learning and success in society. However, the tools and instructional methods to achieve these goals have advanced dramatically. The presence of always connected mobile devices or computers offer tremendous opportunities to students and educators as a way to complete the traditional task of teaching/learning in new and more efficient ways. Oakwood University has the responsibility for developing curriculum and applying instructional methods enriched with technology and in ensuring that our students and teachers are operating at the highest standards possible. The Administrative Systems provides the administrative application software and technical support services to all departments, in order that the departments may provide efficient service to the University community. We ensure that the various modules of the administrative system software are maintained and available to all users. Authorized Users have application on their desktops and have the appropriate access for their specific area. Technical support is committed to providing support and services to ensure the successful use of technology on campus. Service institutionally owned windows machines. Provided basic software package for authorized equipment. Basic support for network conectiveity issues. In order for IT to help you with your needs, we use a tracking system that allow us to be organized and keep you informed of our progress. Our goal for the Information Technology Networking Services department is to meet the network/internet needs of Oakwood University by providing fast and reliable internet access, along with responsive service and support. We are continually looking for new ways to incorporate new technologies to improve your networking needs associated with instruction, research, and administration. Information Technology currently offers up to 900Mbps bandwidth shared campus wide. We will continually update our networking equipment as needed, including our wireless infrastructure to help assist you with a more pleasant network experience. Accounts are provided for academic research and instruction, electronic mail, Internet access, and for activities related to the mission of Oakwood University. Each account represents an allocation of a scarce computing resource and as such is monitored by Oakwood University administrators for appropriate use. Each account is assigned for the sole use of a single user. Sharing of accounts is prohibited. The user for whom the account was created is responsible for the security of the account and all actions associated with the use of the account. 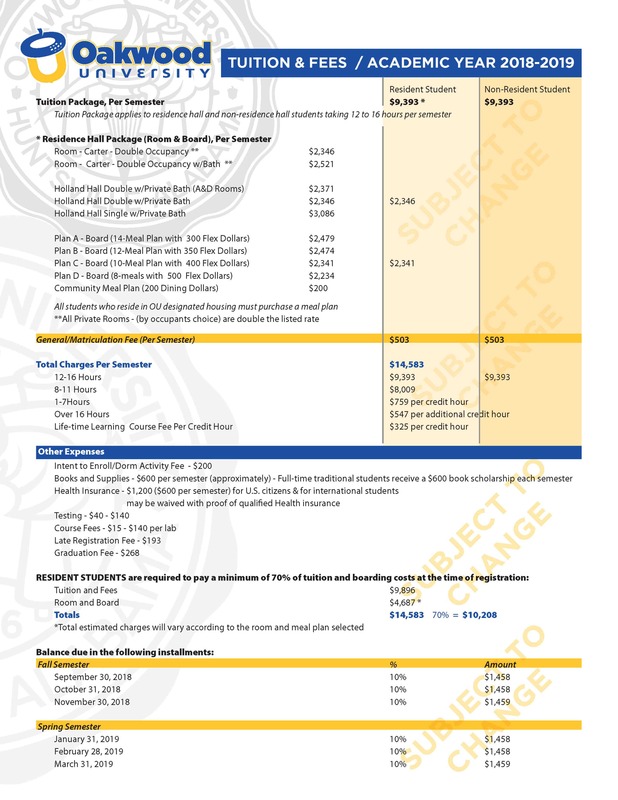 Accounts may be revoked if the account is found to have been used for activities that violate any portion of this policy, the owner of the account has been found violating any portion of this policy, or the owner of the account is no longer enrolled or employed by Oakwood University. 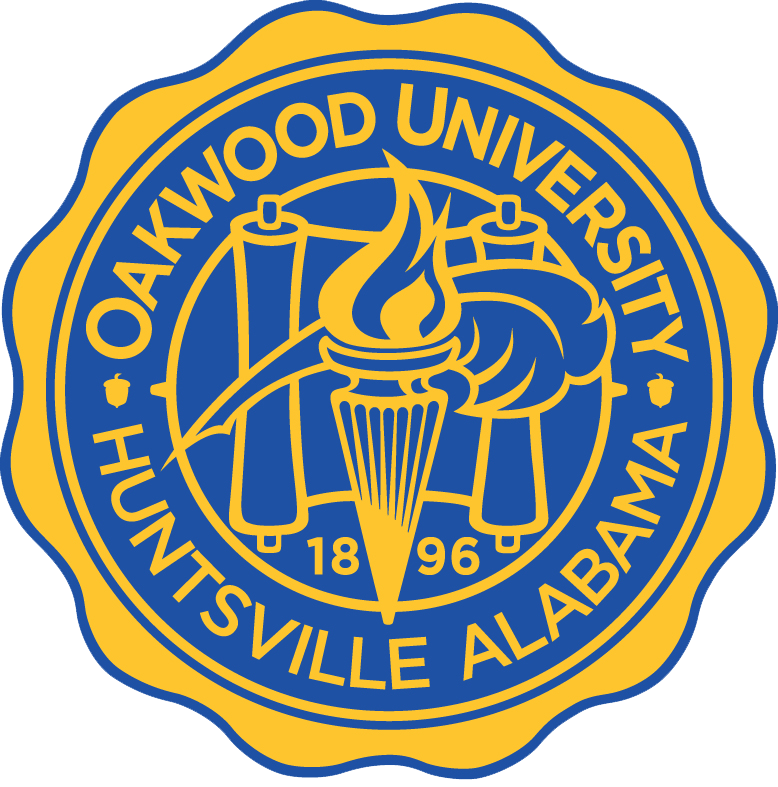 Activation of an account on an Oakwood University Host computer constitutes an agreement stating that the user understands and will abide by all policies regarding the use of the Oakwood University network. Installation of new telephone services, moves, adds and changes to existing telephone service. Voice Mail services: Voice Mail services are provided to faculty and staff through this department upon request. Voice Mail for students is available on request. For first time voice mail users call extension 6631 to request installation and 6630 for instructions to set up voice mail. Caller ID: Caller ID is provided to employees through departmental budget. Caller ID for students is not available at this time. A university campus directory is made available for faculty, staff and students on the department web page. Or one can be purchased from the copy center. University resident halls users will need to supply the telephone instrument for their room. Telephones should be analog. Students who live off campus will not have phone service with the university. **As of June 5, 2010 — 10-digit dialing is mandatory for all off-campus calls, including local calls (in the 256 area). Dialing the area code is necessary to be sure the call will connect properly. You can access your mailbox in the Voice Messaging system so that you can play your messages and use all the other Voice Messaging features. You can log in from any touch tone phone. – Once on the page Click on Advanced to choose the 64-Bit Version. i. For Web Mail (formerly Outlook Web Access) Please Click Here, enter your full @Oakwood.edu email address and password to access your email on the web. iii. If you are having any issues with successfully setting up Oakwood Email with the instructions above please call the HelpDesk at x7464 for further assistance. This Policy clarifies the applicability of law and of other Oakwood University policies to electronic mail. It also defines new policy and procedures where existing policies do not specifically address issues particular to the use of electronic mail. Oakwood University recognizes that principles of academic freedom and shared governance, freedom of speech, and privacy of information hold important implications for electronic mail and electronic mail services. Oakwood University affords electronic mail privacy protections comparable to that which it traditionally affords paper mail and telephone communications. This Policy reflects these firmly held principles within the context of the Oakwood University’s legal and other obligations. The Help Desk offers online submission (for computer repair requests, software installations, all e-mail accounts activation and problems, network port activation and other computer related issues) or to check the status of your work order. Phone Entry – call x7464 and speak to a Help Desk Technician who will enter your information into Freshdesk as a new Request/Ticket. Web Entry – browse to helpdesk.oakwood.edu Click on “New Support Ticket” and enter the details there. Ensuring that you select the correct Category so that the ticket is assigned properly. “Network”, “Telecom”, or “Phone” will be assigned to the Network/Telecommunications Group. Oakwood University Broadband Network Consortium (OUBNC) goal in issuing this RFP is to provide our faculty, administration, medical student and Consortium Members with a State of the Art network infrastructure in support of this strategic Rural Healthcare Connect Fund (RHCF) and is applying with the Universal Service Administrative Company (USAC), for program support funding through the RHCF. This process requires a RFP to be posted on the USAC Web site for a minimum of 28 days in order for vendors to respond to the RFP. OUBNC Consortium Leader supervises the bidding, evaluation and awarding of the contract(s). Consortium Leader is responsible for any moves/add/changes/installs/disconnects orders, facilitator for vendor(s) for USAC form 463 requests for disbursement, and will ensure appropriate monitoring throughout the contract term. Consortium Members will be limited to entities owned and operated by Oakwood University or until such time as the Consortium Leader will accept members from other health care practices, agencies, and schools outside of the Oakwood University ownership. OUBNC is the FCC USAC designated Oakwood University Consortium Leader HCP#51456. OUBNC Leader will post the RFP beginning May 19, 2017. Offer Due Date Friday, the 7th of July 2017, At 12:00 PM CST. Oakwood University on behalf of Consortium Leader, through this RFP is soliciting bid pricing for network broadband connectivity, network equipment and associated warranties, managed services, VoIP, professional services for Consortium Members. The Consortium Members are all entities owned and operated by Oakwood University on or off campus rural or urbanely located. Broadband connectivity for rural and urban health educational sites and other USAC RHCF eligible organizations connecting to consortium hub aggregation locations located within Oakwood University campus and Oakwood University off campus sites. Wi­Fi Mapping and Access Points Predictability Surveys for the following Oakwood University Broadband Consortium Member Sites: Cooper Science Complex, Blake Center, McKee Business & Technology Bldg., Mosley Complex, Bradford Cleveland Brooks Leadership Center, Wade Hall, Edwards Hall, Holland Hall, Cunningham Hall, Peterson Hall, Carter Hall, Ford Hall, Physical Plant, OU Industries Bldg., West Oaks Apartments, Media Center, Regional Ministries, Eva B. Dykes Library, East Hall, Green Hall, Grounds Department, Moran Hall, Anna Knight Hall, Millet Activity Center , Ashby Auditorium, Natatorium, Faculty Road Housing, Chaplains of Spiritual Life Office, Burrell Hall, Public Safety Offices, New Beginnings, LETC, Morning Star Alumni House, University Market/Bookstore, and Art Annex. Vendor cost effective broadband connectivity alternatives to current network design aggregation. Redundant optical network aggregation options for connecting Consortium Members to Internet, Wi­Fi/Ethernet networks, and Internet. Managed services, network technology, for consortium member connected to the HUB. Professional services staffing for moves, adds, changes, installs and management of consortium member sites and connection to the 6 OUBNC Network Infrastructure, WIFI, Voip/ Voice & Fiber HCP #514 hub. Network equipment, technologies, VoIP/PBX and associated warranties. The bidder will be expected to supply services and detailed information regarding the hardware and software requirements of their proposed network connectivity. Oakwood University Broadband Consortium (Oakwood)is seeking multiple contractors or a single contractor to provide professional services for Oakwood University Network Infrastructure, WIFI, Voice Services, Dedicated Internet and VoIP/PBX.